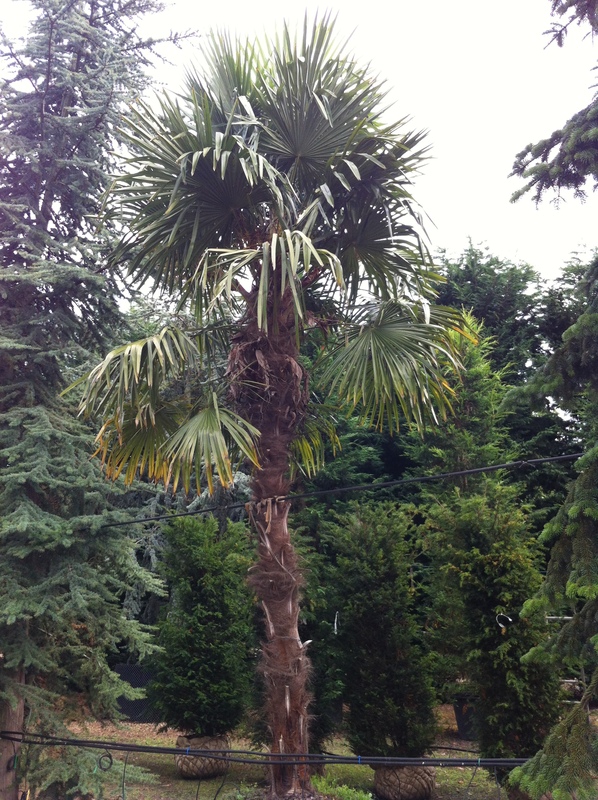 The Chusan Palm is native to Asia and was first introduced to Britain in the 1840s. The Trachycarpus fortunei tree is characterised by its long petioles and dark green, divided, fan-shaped leaves, which can grow up to a metre in length. The trunk becomes covered in hair-like fibres, which are used to make brooms in China. It produces drooping panicles in summer on which small, yellow flowers grow. This tree grows into a bushy habit and is particularly hardy for a palm. It is ideal for bringing an exotic flair to your garden. The RHS has given this tree an Award of Merit.